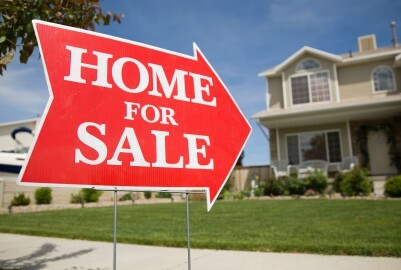 Get Your Raleigh Home Ready to Sell | Puck Realty, Inc. When your Raleigh house gets put on the market, you want to make sure it is ready for potential buyers to walk through. While most people focus on getting the “big” problems fixed, such as fixing broken windows and doors, it sometimes comes down to the details. Here are some helpful suggestions to make sure you don’t forget these details! Get the attention of potential Raleigh home buyers with a neatly landscaped yard. In your yard, be sure to include bright flowers or plants that are easily maintained. These can really add color and elegance to a home. Also, if you have an extra side yard, be sure to incorporate this into your overall appearance. Show potential owners how this space can be utilized – either as a small garden or simply a place to sit outside and enjoy nature. In addition, don’t forget the front door – repaint if necessary, shine the handles, oil the hinges! To make the inside of your home more appealing, you can apply a fresh coat of paint to the trim and woodwork to brighten up the room. Also, make sure the windows are washed and free of dirt and fingerprints! This will not only look much nicer, but it will let in more natural light. Finally, you can make smaller rooms seem bigger by painting neighboring rooms in the same color. You can also add striped rugs to make the room appear wider. If you have a small bathroom, using a smaller sink with storage baskets can give it bigger appearance as well. Aim for a warm and inviting atmosphere. When buyers walk in to a house, they are looking for subtle cues that this can be their future home, and it’s your job to provide these cues. Provide potential buyers with a welcoming atmosphere with soft lighting. Harsh, bright lights can point out any small flaws, whereas soft lighting emotes a safe and comfortable environment. You can also make your house “smell like home” by lighting scented candles or using air fresheners. In addition, you can make your home look more inviting by simply arranging your furniture in a welcoming manner. For example, don’t place furniture so the back is facing the entry way. These small changes can positively change the entire atmosphere of your house. Be creative with your organization. There are several simple ways to show potential storage spaces in your home, especially if you are on a budget. First, make DIY storage baskets that you can use for the laundry room or closets. In the laundry room you can include shelving units to store laundry necessities, as well as a place to hang clothes. The garage is another major storage space that most people neglect to use. Create a space to store yard tools, such as rakes and brooms, on the wall. You can also add a shelf to be used a work area, and a place to store tools. Show potential buyers the garage can be used for more than parking cars!